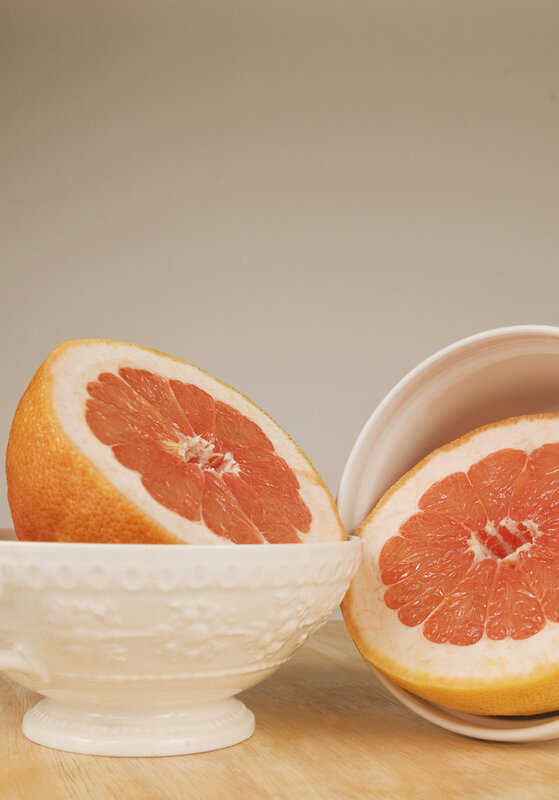 This image depicts a clean wooden tabletop, atop which were two whole ceramic bowls, each containing a half of a grapefruit. In this setting, the bowl at right had been set on its side, still containing the fruit. The halved fruits revealed their juicy, nutrient-rich red-orange interior, which was encased in a thick yellow-orange skin.